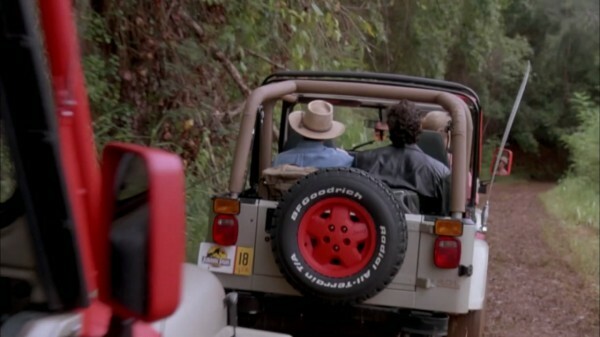 The tires used on the Jurassic Park Jeeps were BFGoodrich Radial All-Terrain T/A KO tires. They appear to be the stock tire size for the 15″ wheel which is 225/75-15. The wording on the side wall is no longer correct as the new tires you can buy do not say “Radial” in white lettering.